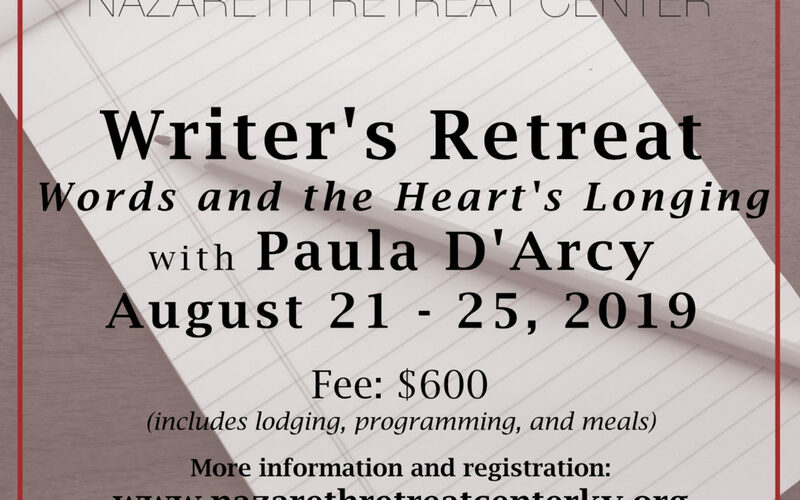 Paula D’Arcy is a writer, retreat leader, and conference and seminar speaker. She travels widely in the United States, Canada, and abroad. Paula is the President of Red Bird Foundation, which supports the growth and spiritual development of those in need as well as those invested in the opening of the heart and the healing of the world. What does writing do in the world, and for the world? How does it affect the human heart? This retreat is designed for all who want to nurture their creativity and discover what moves the heart. You are welcome if you have never written before, if writing has been an ongoing part of your life, or if you simply want to communicate better in your work or personal life. Each day will be a rhythm of writing practice, sharing, music, film and poetry. Required reading: The Bread of Angels by Stephanie Saldana.